This 6.25m boat has a large cockpit and full length double bunk and toilet in the forward cabin making her a great sport and fishing family boat. The boat, including its cockpit floor height, down flooding height and angles, cockpit drainage and stability requirements, is designed to comply with European RCD requirements as appropriate and can be classified for CE approval – category B. Some of the other features included are electrical windlass, deck shower, removable ski pole and swim ladder. 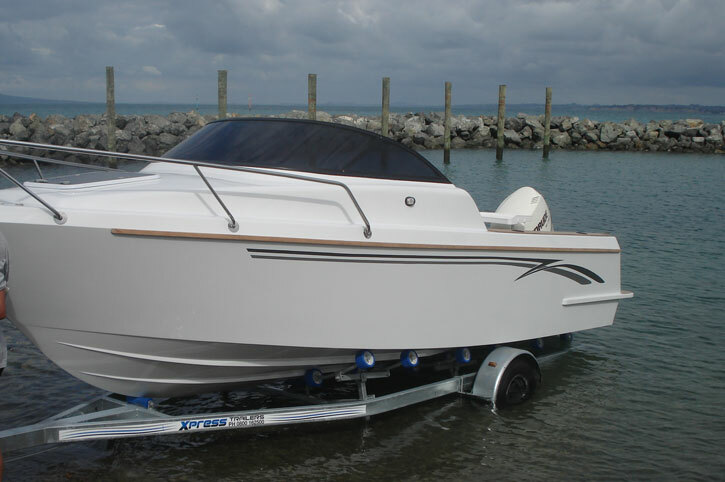 The first boat was launched in May 2013 in Auckland, New Zealand. 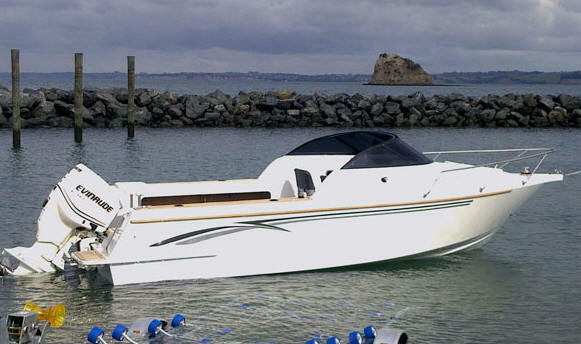 The owner, one of the most experienced boat builders in New Zealand described her as the best boat he has ever been on. The boat can be build in the back yard or by professionals using the recognised as traditional these days techniques such as cold-moulding or glassed marine ply on frame construction. Another option is a composite structure in female moulds. The design can be adapted, so the boat can be also build from marine grade aluminium alloy.